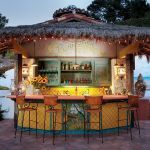 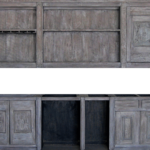 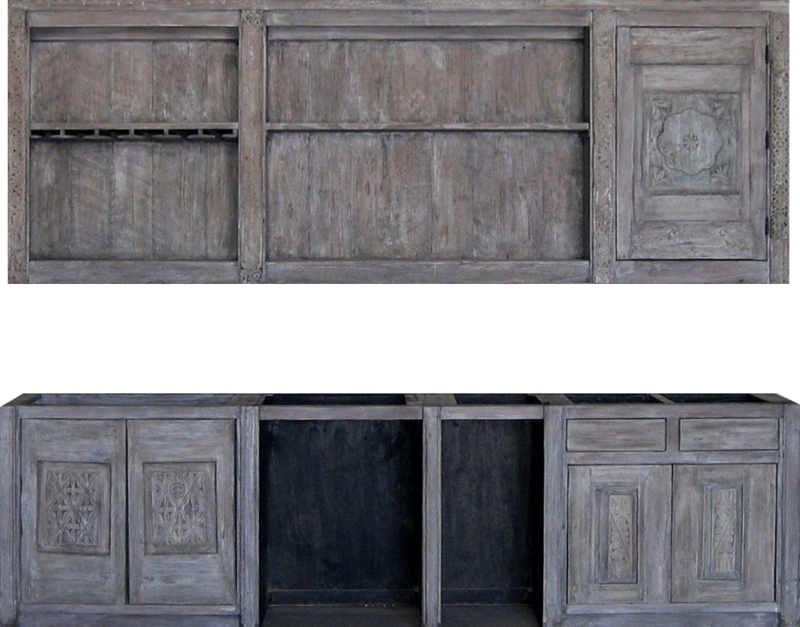 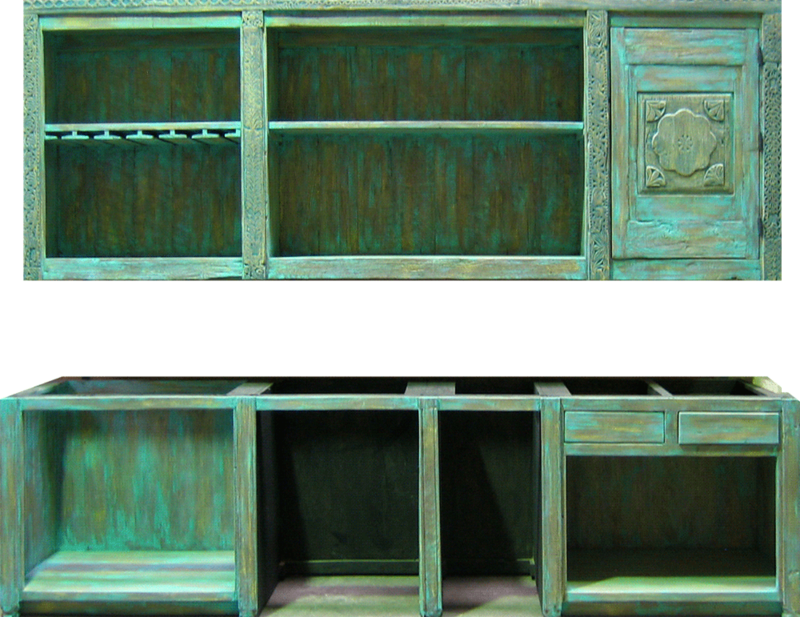 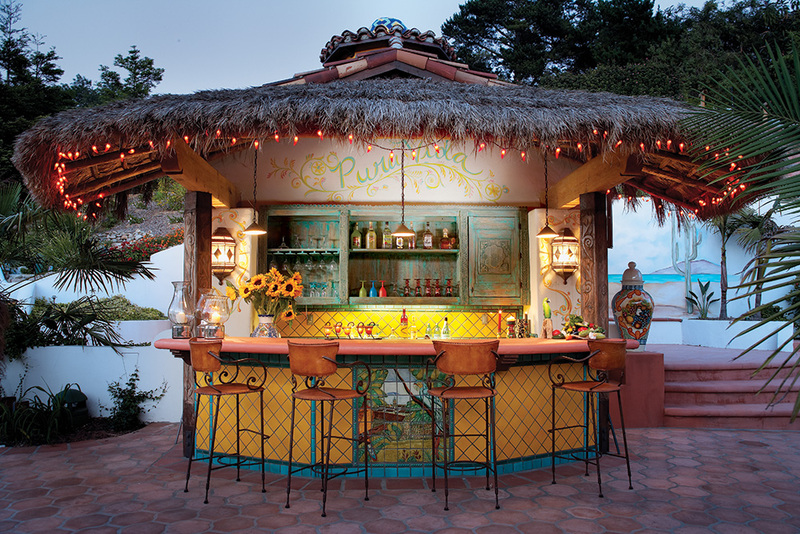 Colorful bar cabinetry was made using salvaged lumber accented with antique carved panels. 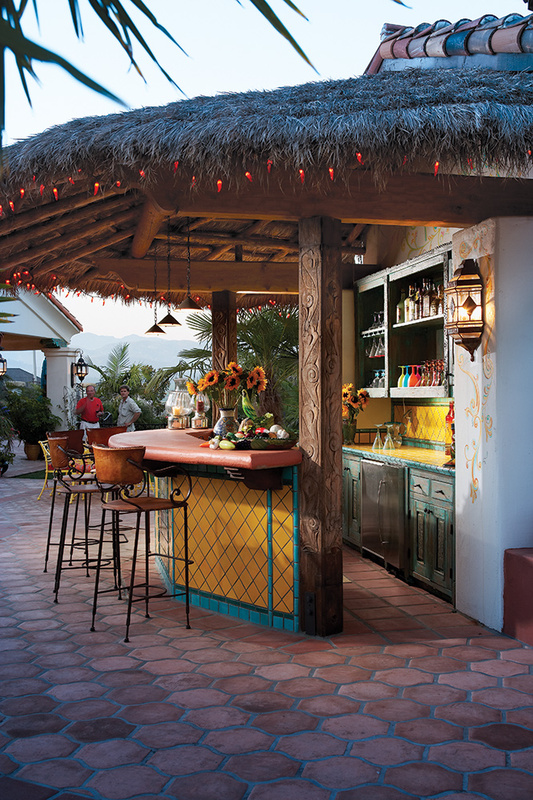 The grass topped roof is supported by carved Honduran posts. 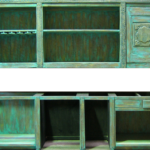 In the detail photos one can see the original weathered mesquite finish and compare it to the final blue-green patina.